Come to the shop on Monday evenings at 6:30 for a group run! Look out for special events on our Events Page, here, with various Brands trying out new product! 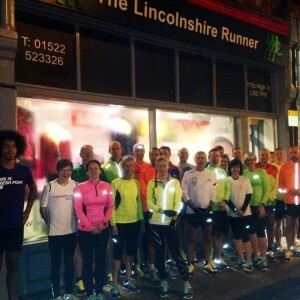 Our Monday evening shop run is a social run that anyone can come along to whatever your running standard. It starts at 6:30PM from the shop and we cover between 4-8 miles. We have run leaders that take groups from quicker than 7:00 minute mile pace to 11:00 minute mile pace. It’s all free and our motto is that is doesn’t matter if you run for a club or not, or which club, or if you want to run recovery pace or hard pace, you come along and do what you want to do!